To, be? Or not to be? That was the question of Adam Ellis-Jones director of the Mount Stuart House Trust, a stately home on the Isle of Bute, Scotland. 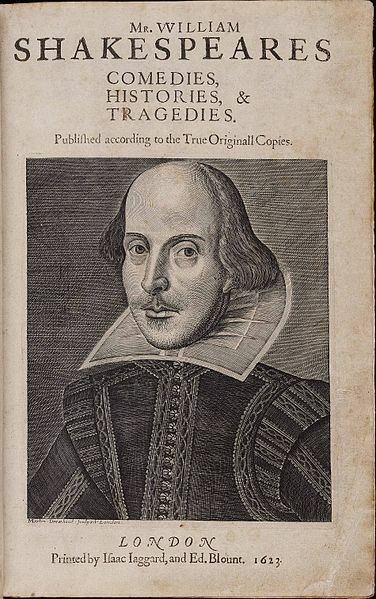 The trust had possibly uncovered a priceless First Folio of William Shakespeare. When Professor Emma Smith of Oxford University was summoned to the remote isle to authenticate the possible historical find, she was skeptical. So many “First Folios” had been retouched by restoration artist John Harris II in the 19th century that verification of a true First Folio was rare and difficult. Once she was with the actual pages divided in three volumes – comedy, tragedy, and histories – and began the authentication process her doubt melted. Professor Smith knew she had the real thing. Though exact details of the analysis were not released, common evidence of a real First Folio include watermarking on the paper, specific misspellings, error correction, and even printer’s thumbprints on finished pages. A historical find was at hand. A First Folio on display. The final note on the book’s acquisition was that is was rebound in goatskin in 1936 to match other editions in the collection. It was rediscovered as the trust which runs Mount Stuart was evaluating the many antique books in the Bute Library and Archives. Released in 1623, Shakespeare’s First Folio was the original printing that collected all of the theatrical work penned by the famous Bard. Several quartos had been released previously but never a lifetime opus. More important still, the First Folio included many plays that would have been lost if not for the mass printing of such plays as The Tempest, The Taming Of The Shrew, Twelfth Night, and Macbeth among several others. It also first presented and popularized the familiar portrait of William Shakespeare by engraver Martin Droeshout.